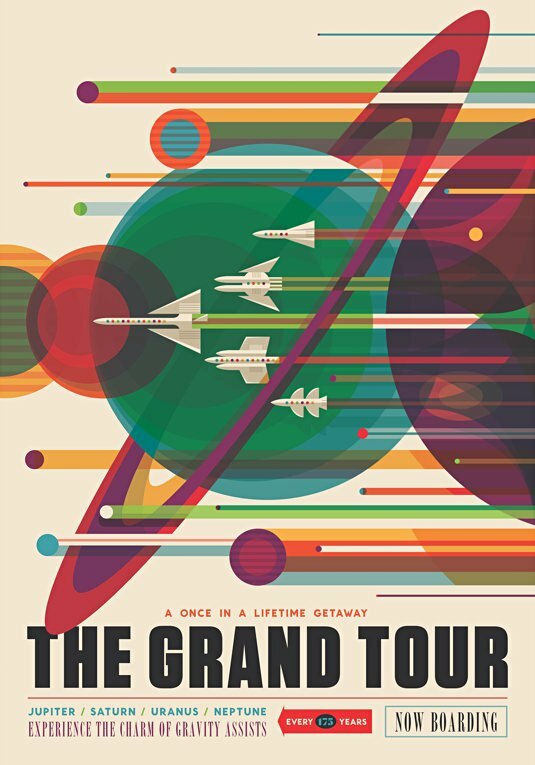 Free Download: NASA's Brilliantly Retro Space Tourism Posters | Valet. 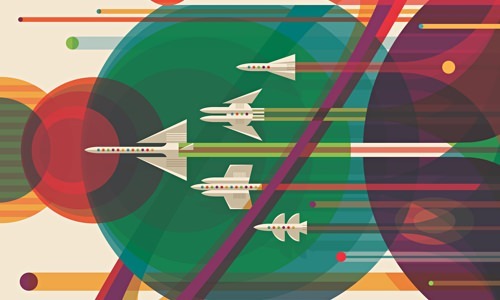 If your art collection is lacking in vibrant, graphic and optimistic pieces, consider one of these space travel posters from the in-house design studio at NASA's Jet Propulsion Labs. At once both retro and futuristic, the posters promise a virtual trip to 14 interplanetary destinations—from the familiar Mars and Jupiter to Saturn's vapor-spewing moon Enceladus and the dwarf planet Ceres, dubbed "the gateway to the outer solar system." The posters are the brainchild of a design and strategy team that works with JPL scientists and engineers to visualize and depict complex science and technology topics. Dubbed the Exoplanet Travel Bureau series, it started last year and when NASA came to them asking for more, they were able to integrate many ideas the team had already been envisioning for the future—such as floating cities hovering above Venus. And what's more, they're all available in print-quality PDFs to download and print at a 20" x 30" poster size, suitable for framing. ShortRunPosters.com offers a 20 x 30 digital poster print on quality 45# Bond matte paper for just $11.